Transporting data around from computer to computer isn&apos;t really all that interesting on a day-to-day basis. Luckily, members of our community have been turning their standard USB flash drives into blank canvases for creativity. In fact, we loved the idea so much we decided to put together a step-by-step guide to help you customise, decorate and design your very own personalised flash drive. In this tutorial, we&apos;ll be discussing two overarching methods to create USB flash drives with Sugru. You can make an animal sculpture entirely out of Sugru or craft your own design from upcycled materials. The choice is yours! If you want to design with upcycled material, you&apos;ll need to start with finding the right item to attach to the USB. Have a look around, and ask yourself "do I ever use that thing?" or "do I really need to throw that away?" If the answer is no, then it might be the perfect opportunity to put it to good use. For example, if you want to make a bumblebee USB, a rubber duck could be the perfect base. Apply some Sugru to the back of the USB. If you’re upcycling an item, the first step is simply to stretch out the other end of the Sugru and roll it like a sausage. If you&apos;re designing a Sugru-sculpture without any other materials, what you do now depends on what animal or object you want to sculpt into existence. 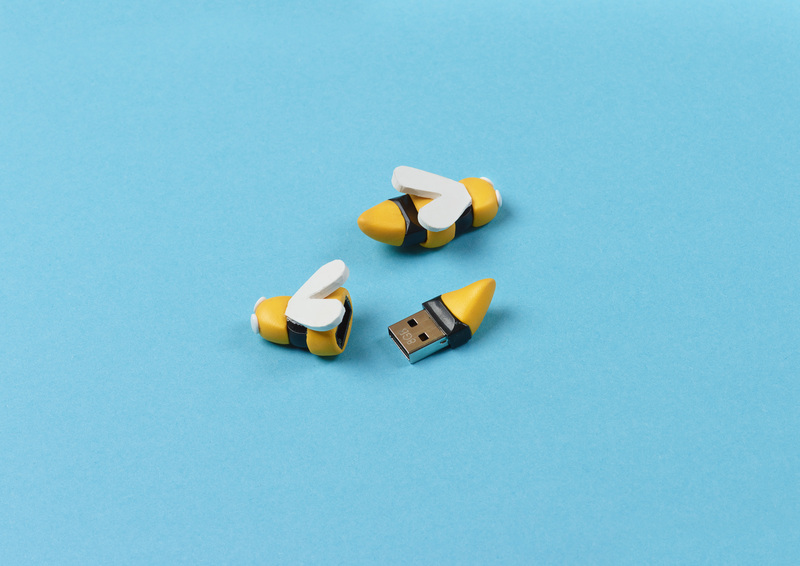 In our example of a bumblebee, you might want to build a lump of black or yellow Sugru onto the USB gradually and then add stripes with the alternate colour. If you’re designing upcycled craft, grab your Sugru-sausage and use it to neatly fasten your chosen upcycled object to your flash drive. For example, if you’ve gone for a rubber duck, cut a hole somewhere in the duck and feed the sausage into it. Press it in firmly, and let it set for 24 hours to cure. While it&apos;s within the 24 hour curing period, can secure your upcycled item to the USB with masking tape. If you&apos;re sculpting with Sugru, now is the time to get more creative, by adding sunny yellow Sugru stripes if you&apos;re making bumblebee or a grey Sugru trunk if you are making an elephant. Once you’re done with this, leave it to cure for 24 hours. Does your bumblebee need some googly eyes, a funny hat or a dash of paint? You decide. If you use this tutorial to create a fantastic flash drive we&apos;d love to see it. Share it with us through #MySugruFix on our website, and on Facebook, Instagram and Twitter. We can&apos;t wait to see what you come up with.